Fuse traditional values with modern guitar playing through using the Morley VAI-2 Steve Vai Bad Horsie 2 Contour Wahs. These wahs deliver quality tones and they are easy to use. They also have a unique design that makes them a cut above the rest. This review addresses features that make the pedal stand out. Nothing that beats a wah that is always on standby for use. With the Wah, there is no stress of putting it on or off. It comes ready for performance. A step on the foot pedal sets the wah in the move. 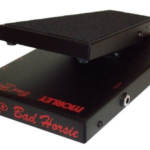 This switchless feature makes the wah conspicuous, and a user can spend the switching on or off time enjoying the crispy tones that the wah makes. Controlling a wah has never been this easy. 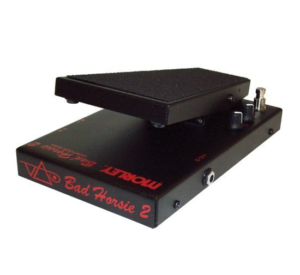 This version of wah features two control knobs and a switching button that is single. Turning the switch enables a user to set a classic Vai Sound (Bad Horsie regime) while turning it again gives a user a desirable contour wah mode. The two control knobs apply when the wah is in the contour regime mode. It becomes possible to achieve the preferred frequency of the wah pitch level, or even alter the overall level of the wah. 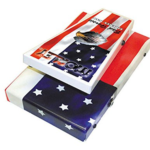 One can sound like Steve Vai, or decide to customize the wah in order to suit their taste. It all about options that delivers tonal clarity and preference. It is an effect that befriends a user through bending to their likes when it comes to guitar tones. The wah features modern sound even though it can accommodate a traditional touch. Feel modern while still getting back to the beat of the olden times. With this kind, one experiences a steady volume all along the period of performance. The input buffer of the wah has a high quality, and it normalizes the signal of a guitar with ease. Some wahs usually struggle to achieve stability. However, this yields a stable volume of the beats without any fluctuation. The pedal of the wah features a buffer circuit that has a clear tone. It is absolute that Vai had a special interest in the clarity of the tones when designing the wah. Subsequently, there is the presence of a high end circuitry that defines clarity of tones. Any user cannot ask for more that a study pedal and a metal casing. Durability is not optional since the wah features endurance. From the outside, one looks at a sleek and elegant wah that has a futuristic design. It measures 9.2 x 6 x 3.5 inches and it weighs 3.6 Pounds. 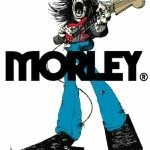 This choice of Morley wah pedals is accompanied by a warranty. The musicians can go for a gold coverage. It is ideal as it covers aspects that are beyond the manufacturer’s warranty. Such aspects include damages because of poor handling and power surges among others. With this plan, you get coverage ranging anywhere between one to five years. This is an indication that the product is of high quality. Purchasing this with a guaranteed warranty is the most suitable way of covering you investment. Regardless of whether a user becomes experimental or wants to play some clean notes, it has enough sonic space. It also denotes rocking freedom. It accommodates a novice performance, and it becomes handy in a serious rocking performance. It is such flexibility that makes it unique. With a wah that enables a user to copy a guitar titan and customize the tones, rock music has never been this enjoyable. It plays the two roles exceptionally, and it defines clarity of guitar tones. Try it out and you shall notice the difference in music.